Full moon in late April/early May is our chance to get more root crops in while the soil is still warm. 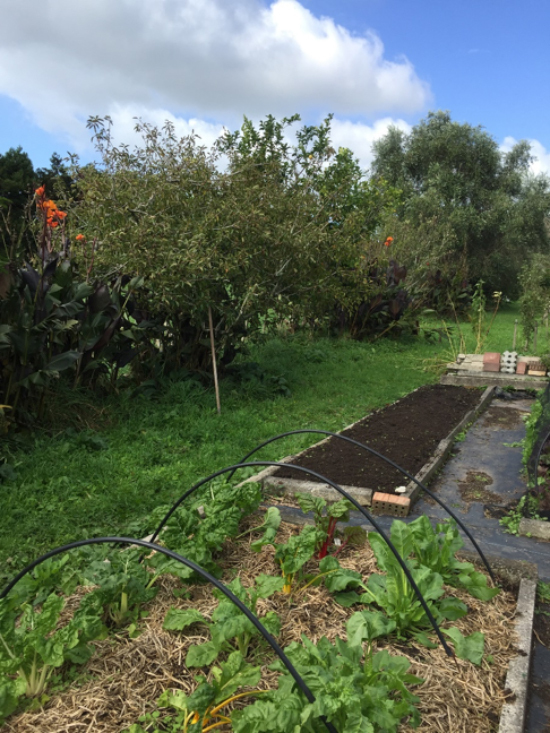 Depending on your conditions, plant succession crops of beetroot, fennel, radish, turnip and carrots. These should grow quickly and be ready for us during the cooler months of winter. 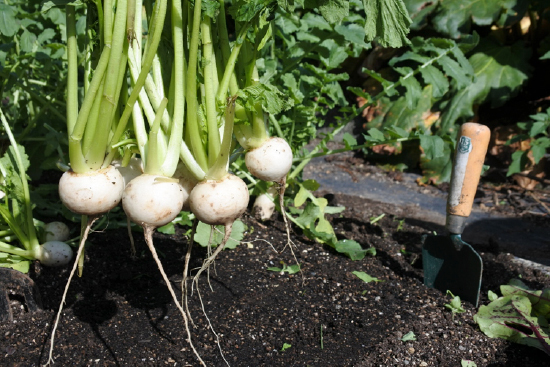 Here are the little Tokyo Cross turnips we planted 8 weeks ago. Crunchy and delicious! When we move into the Last Quarter, it’s a good time to focus on cleaning up the garden. The remains of summer crops can be chopped up and added to your cold compost bin and if you don’t have one, this is a great time to start. 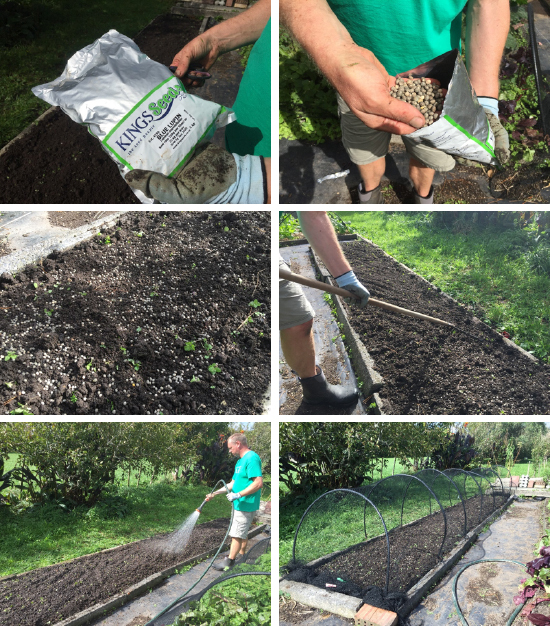 If you have an empty bed or space in the garden that you don’t plan to grow in over winter (often the case in cooler climates), now’s the time to start sowing a green manure crop to cover your soil and protect it from the weather. Leaving soil bare over winter is never good. Rain and snow compacts soil and destroys beneficial bacteria and fungi and winter weeds grow. In our case, we’re going to leave this bed below fallow because it’s just too shady in winter. Green manure crops include oats, mustard and broad beans, but our preference is lupins. They’re reasonably inexpensive, grow quickly, smother weeds, fix nitrogen in the soil and flower, which the beneficial insects appreciate. Sowing lupins is easy. We broadcast the seed over the soil, then use a rake to lightly cover them. Don’t worry about covering them up completely with soil as they’ll root themselves easily. We put hoops and a net up, as we have birds that like our lupins too. In August we’ll chop the plants down and dig them back into the soil. This makes our soil lighter and naturally aerated, all ready for spring planting. If this doesn’t appeal to you, try covering your garden bed with straw, leaf litter, old sacks, seaweed or even newspaper. As your leeks grow, you’ll need to hill them up. It’s a good idea to give them a dressing of volcanic rock dust first, since it’s been about 5 weeks since we planted our leeks. Long-term crops need feeding during their growing period. 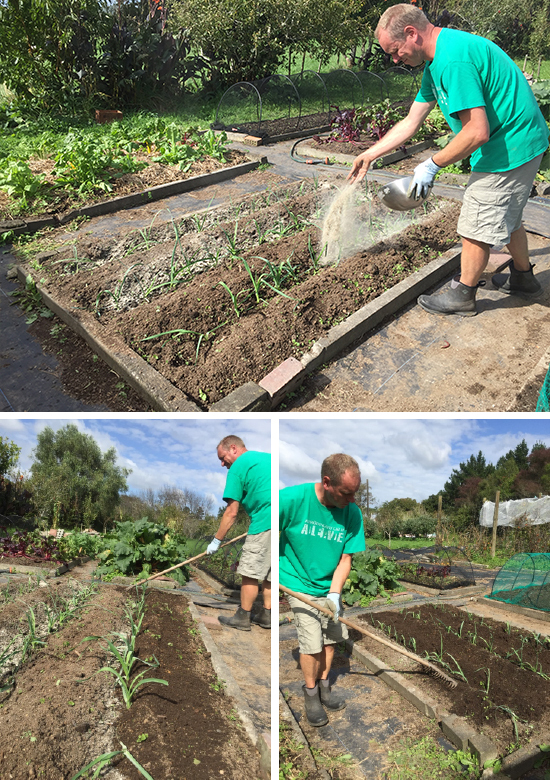 We hill our leeks up on a few occasions over the winter months. The higher the mound, the more white part of the leek is produced. If you don’t have enough soil, try adding some mulch or compost. And don’t forget, if you get rust on your leeks in your area, a monthly spray of liquid seaweed will help. Don’t forget to send us pics of anything interesting happening at your place.